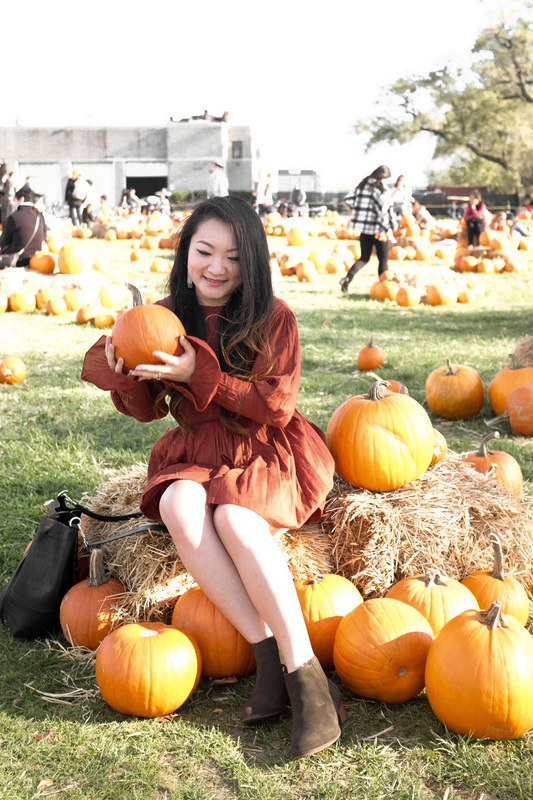 Major Autumnal feels in today’s post, from a visit to a NYC kind of pumpkin patch to a rustic-hued outfit. 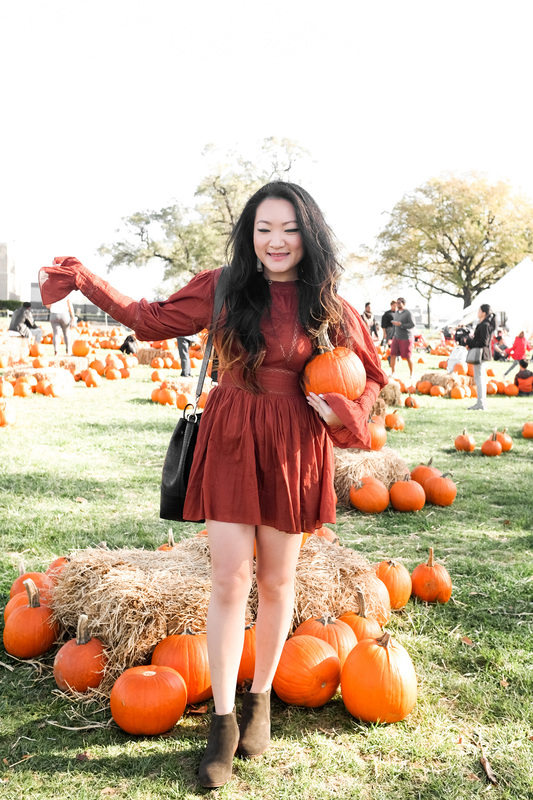 This year, I found out that there was a pop-up pumpkin patch at Picnic Point on Governors Island and had to go check it out! I love that Andy and I can do autumnal things in New York City without the drive or Metro-North ride upstate! (Check out our apple picking adventure upstate last year, HERE.) 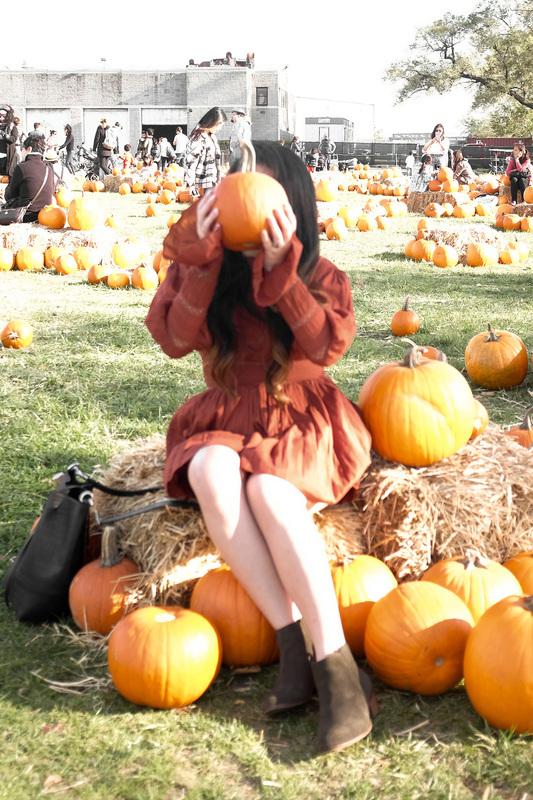 Pumpkin Point was the cutest event ever. 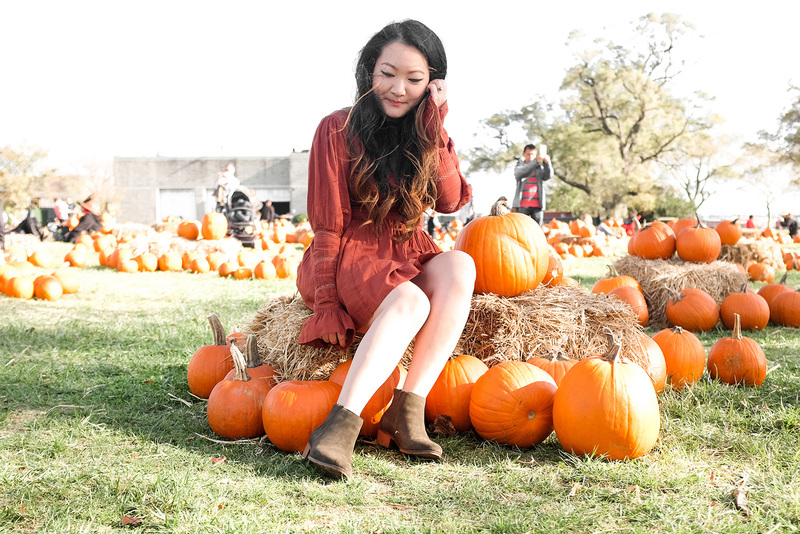 Of course, lots of pumpkins, hayrides and even apple cider. Add in some apple cider doughnuts and it would be in autumn heaven in the city. Luckily, I discovered it with one more weekend left (popped up for the last two weekends of October only). 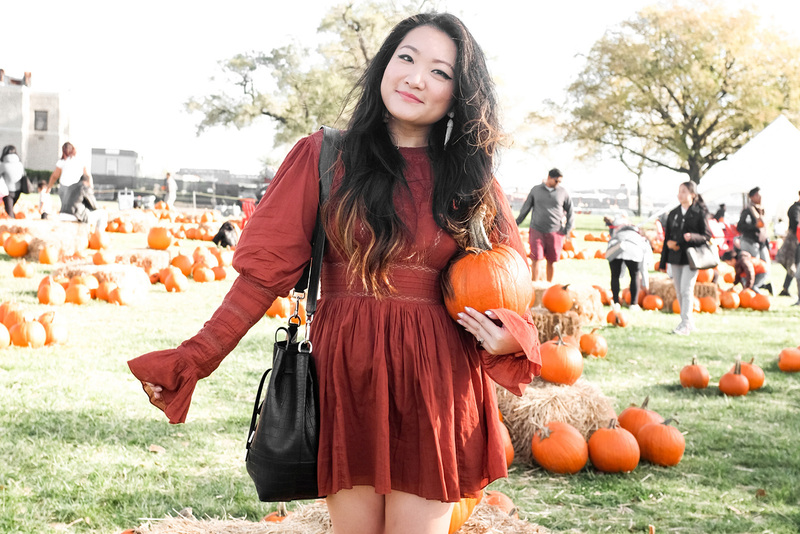 For the occasion, I wore an outfit that just screamed pumpkin spice. This Victorian style dress just paired perfectly with my new olive Chelsea boots. I feel like I fell into the comfort of wearing dark colors this season and wanted to inject more vibrant hues into my wardrobe. It was the perfect opportunity for it. Being a city girl, you always just wear so much black. I love changing it up. It looks like the weather is finally cooling down, so sweater weather is just around the corner. Who’s ready? !